Children can play without toys because they have an imagination. These are some photographs shot of little children making do with whatever little they had. 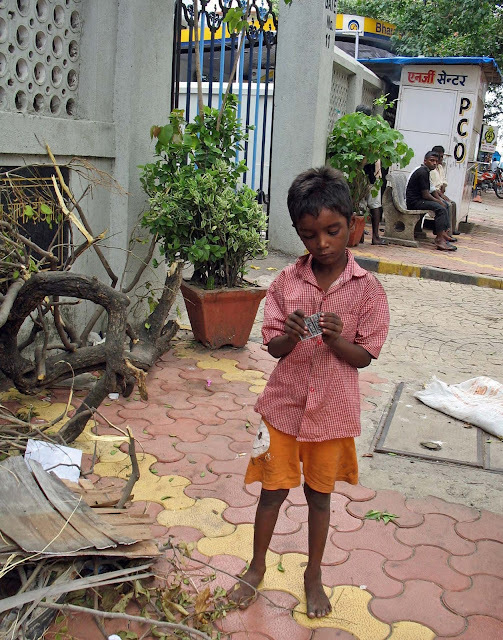 In the first photo, taken in South Mumbai, these small boy is fiddling with a plastic container which holds razor blades. Even though I was standing right before him he was oblivious to my presence, so absorbed was he in what he was doing. No jigsaw puzzles for him! 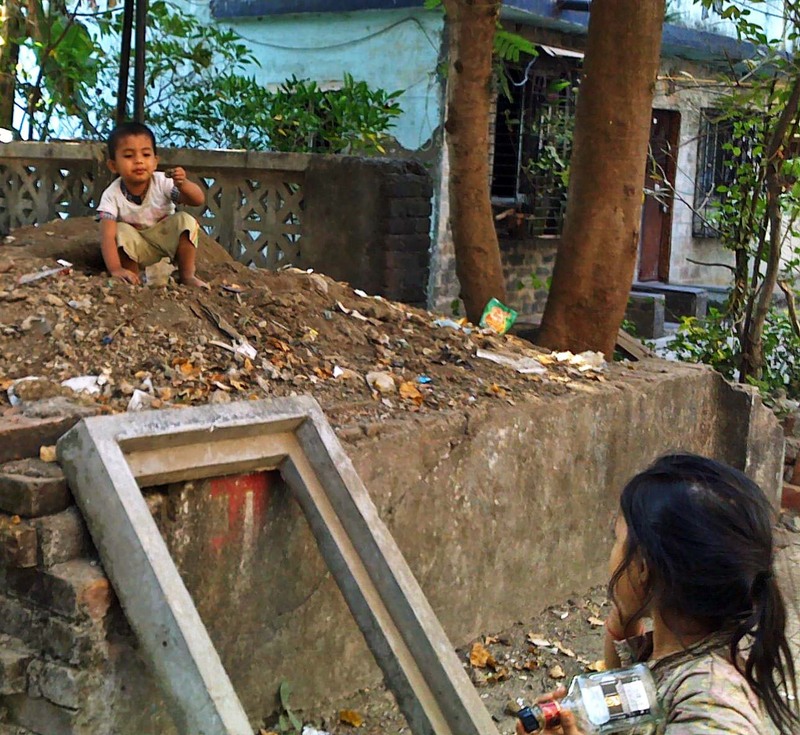 The photograph below was taken in a small village near Mumbai. 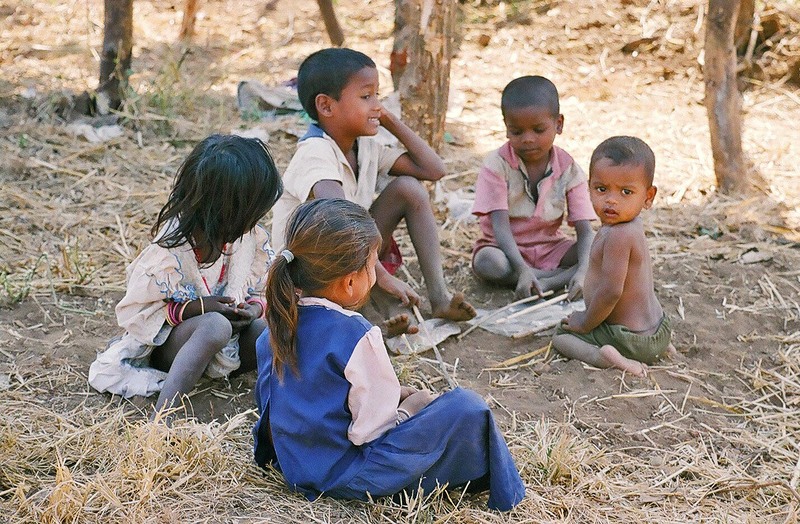 This group of children is sitting on the dry grass, playing with sticks. Certainly better than toy guns! This little boy, photographed in Mumbai, has found something in a pile of mud and garbage he is fascinated by. His sister looks on. The little boy and girls below have nothing to play with except themselves and a small balloon. 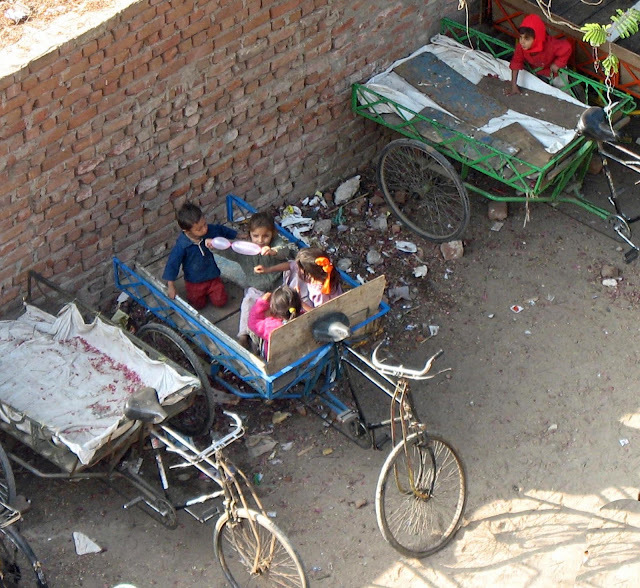 They are sitting on a hand-cart on the streets of Ahmedabad.